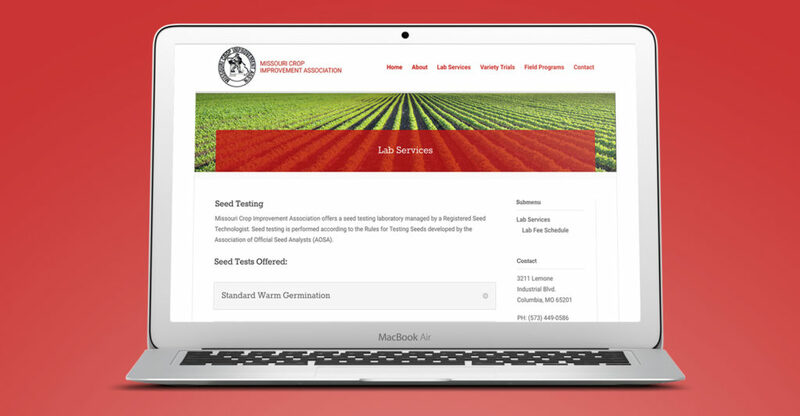 Hub & Spoke recently launched a new website for the Missouri Crop Improvement Association, a Missouri non-profit which tests and certifies seeds for the State of Missouri, ensuring quality and protecting the state’s farmers. The organization, which has been in existence since 1904, was in need of a major update to its website design and back-end content management system. Their old look was dated, hard to read, and didn’t function on mobile devices, since it was developed in the 1990s. With this in mind, Hub & Spoke worked to create a fresh, clean design that focused on conveying information to users as succinctly as possible, many of whom live in rural areas and rely on sub-optimal internet connections. A view of MCIA’s website before, and after, Hub & Spoke’s redesign. The website uses WordPress for its content management system, with many custom enhancements from Hub & Spoke that ensure it is easy to manage and update, especially when adding newsletters and press releases. 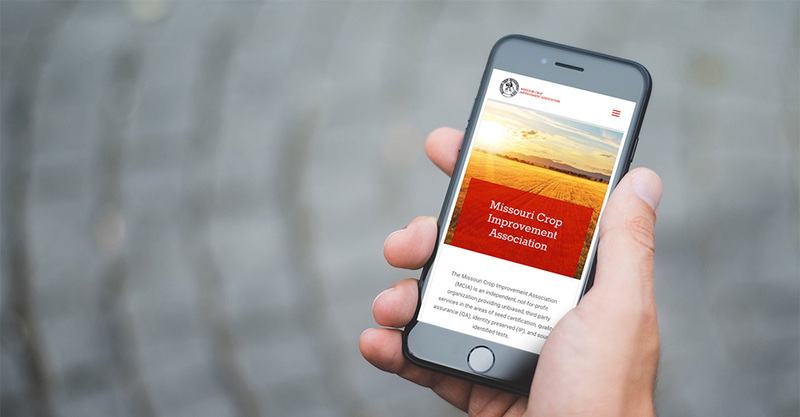 To add a visual pop, Hub & Spoke helped MCIA select stock photography that showed fields of crops with great color and lighting. Using the Laravel PHP framework, we also developed a custom portal for members to access reports and data files, which are uploaded daily by MCIA staff with seed test results. The portal, which operates outside of the main website’s content management system, emphasizes simplicity, making it easy for users to view and download the reports. Thanks to the success of this project, we’re already hard at work on our next collaboration with the Missouri Crop Improvement Association, as we help them launch their custom line of seeds. © 2017 Web Design, Branding & Marketing Insights from Hub & Spoke.